A few days ago we received a booking from a home owner in Bilsthorpe, Nottinghamshire. They had grown tired of their old, shabby-looking door, and had turned to our “Design A Door” tool to create a brand new, stylish front door for their home. The order was placed, surveying was carried out, and just a few days later our team were in Bilsthorpe fitting the door. The old door featured an outdated looking golden lock and letterboxes and looked tired with paint chipping at the bottom. 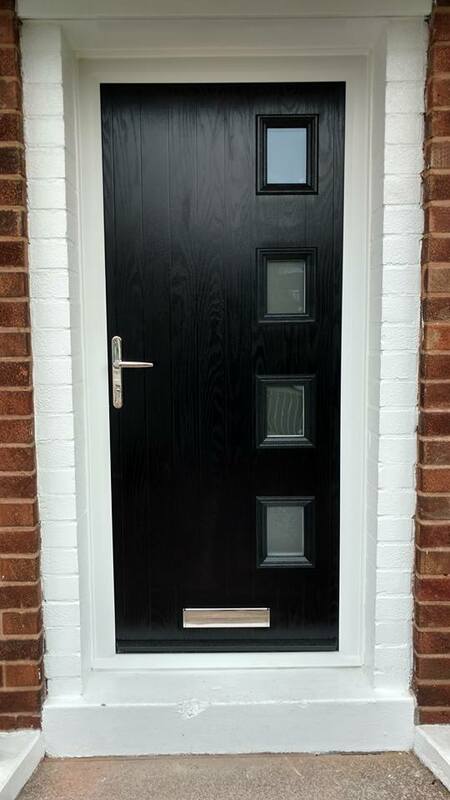 The new door was a slick black colour, featuring attractive silver handles and letterbox, and 4 satin glass windows. It completely transformed the look of the property on the approach to the front door. 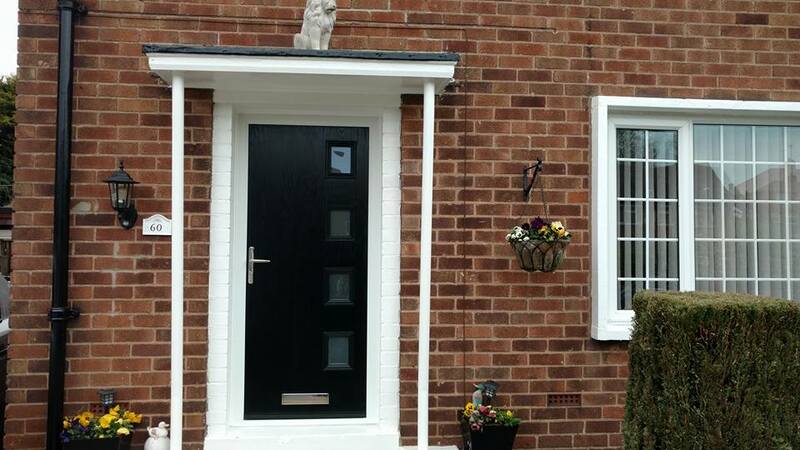 Also, because the door was a composite door, it is extremely strong and secure, and also more energy efficient than typical UPVC doors. 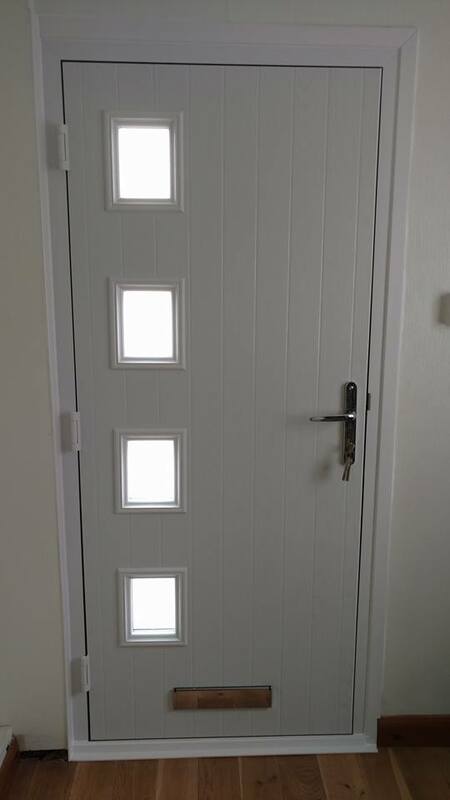 This door was completely bespoke to the customer’s own design and came to just £782 with surveying and fitting included within the cost. We also disposed of the previous door for free – as we always do! 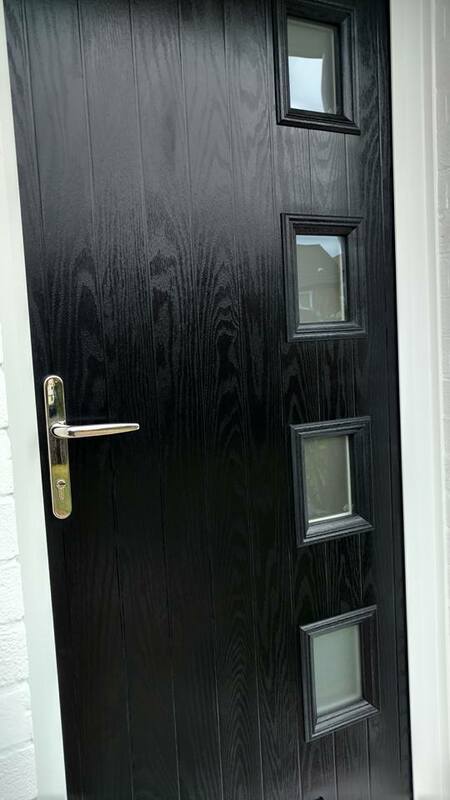 See the images below for the wonderful new black composite door fitted in Bilsthorpe. Think it’s time for new doors on your own home? Then please don’t hesitate to get in touch with our friendly team today on 01623 325000, or why not design your own door today using our design a door tool? We have the lowest prices in the area, are 5 star rated, and always offer a top-notch service.